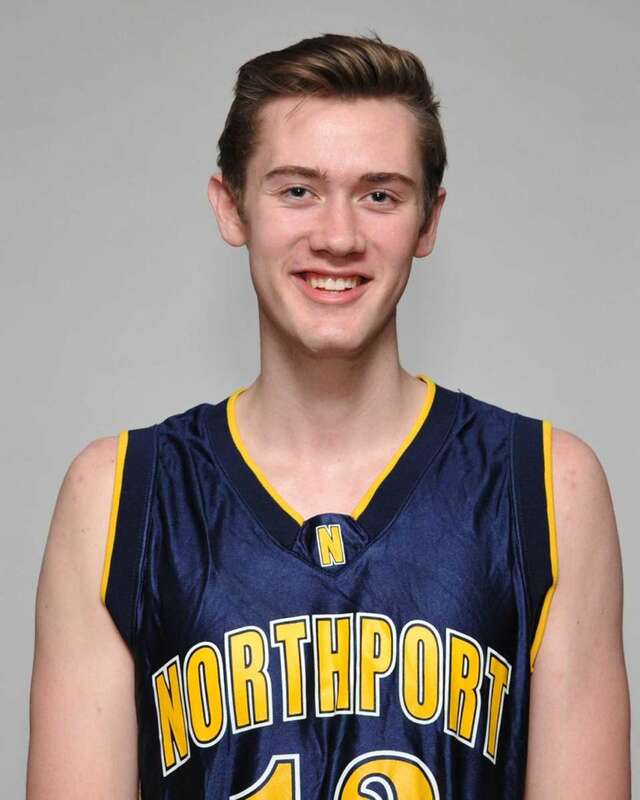 Meet Newsday's 2016 All-Long Island boys basketball team. 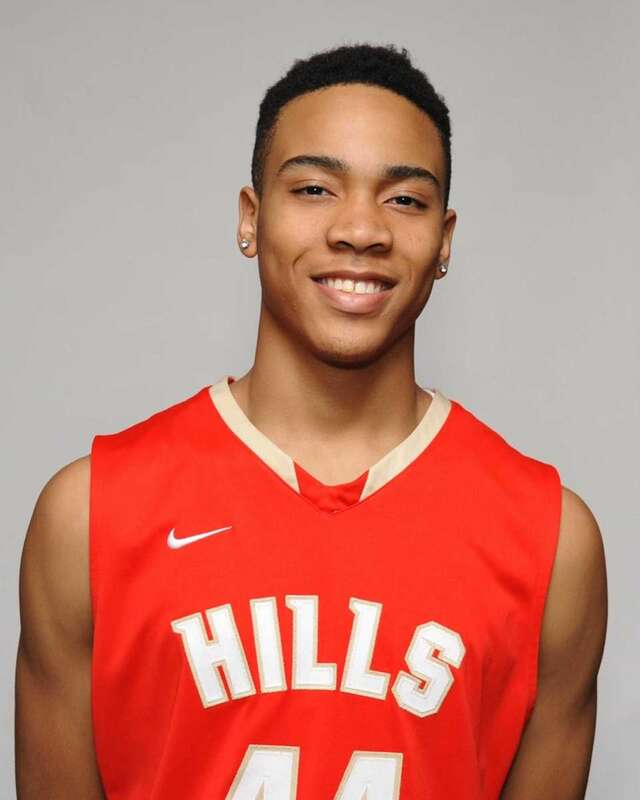 Newsday Player of the Year: Devonte Green, Long Island Lutheran, 6-2, G, Sr. In a starting lineup featuring three transfers and a first-year player, Devonte Green was Lutheran's seasoned veteran. The senior, who verbally committed to Indiana on Jan. 9, averaged 20.3 points, 5.9 rebounds, 3.5 assists and 2.7 steals per game in his third year with the Crusaders. 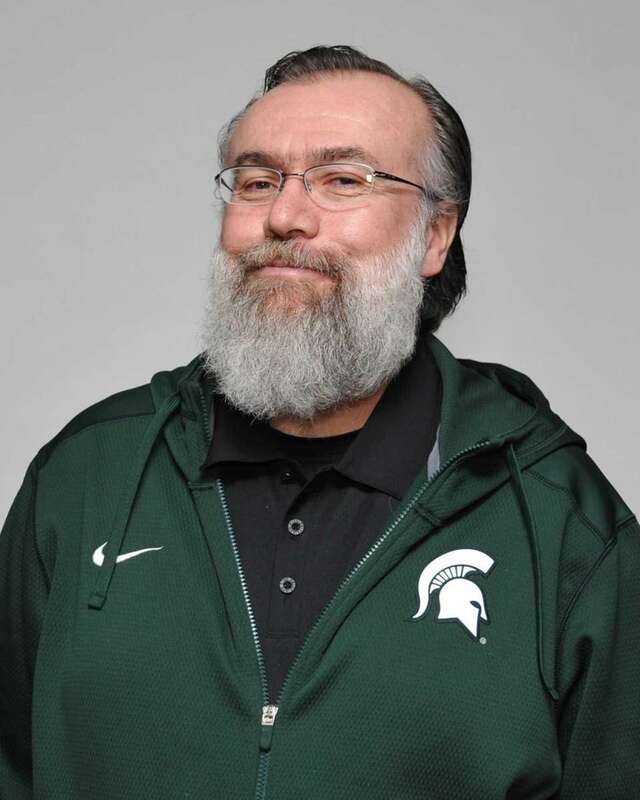 "With a lot of new faces, he's a really steadying force," coach John Buck said. 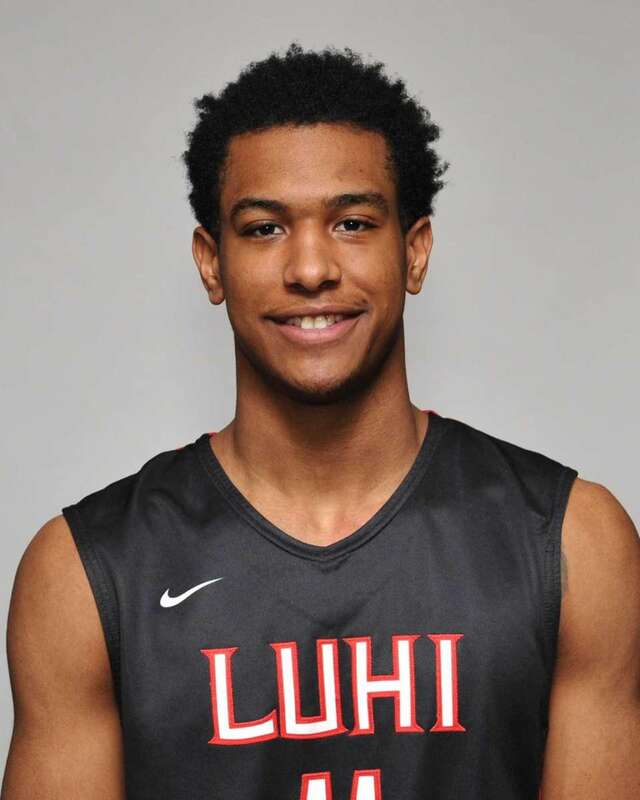 "At LuHi we've had a good run for a bunch of years and he's certainly carried the tradition of the program going forward." Green poured in 39 points to lead Lutheran (22-3) to a 73-72 win over Sacred Heart of Waterbury, Connecticut, and scored 25 points in a 96-60 rout of Cardozo, which earned the top seed in the PSAL playoffs. "Once he committed," Buck said, "he didn't really change -- maybe a little more at peace off the floor, but he was still attacking in practice every day and really carrying us to some huge wins." Suffolk Player of the Year: Jamel Allen, Brentwood, 6-6, C, Sr. He didn't want his high school career to end when it did, but on a personal level, Jamel Allen authored a pretty good exit line. 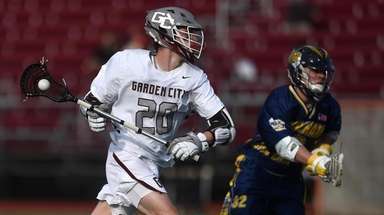 He showed off his entire skill set in a Suffolk Class AA championship-game loss to Half Hollow Hills West that prevented Brentwood from making a third straight trip to Glens Falls. How's this for a grand finale? 40 points, 11 rebounds, five blocks, four steals? Add a couple from downtown plus a crowd-pleasing steal, crossover dribble and tomahawk dunk and it's no wonder he received and accepted a scholarship offer from Iona two days later. 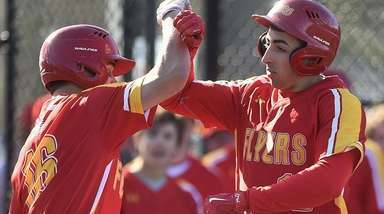 "It was the performance of a lifetime, the best I've ever seen," said Brentwood coach Anthony Jimenez. Allen averaged 19.7 points and 13.3 rebounds, with 14 double-doubles. He is a sky-walker who dunks with flair and expanded his game to include improved ballhandling and three-point shooting. He has evolved in a college-ready small forward. "They know what kind of quality player they are getting," Jimenez said. 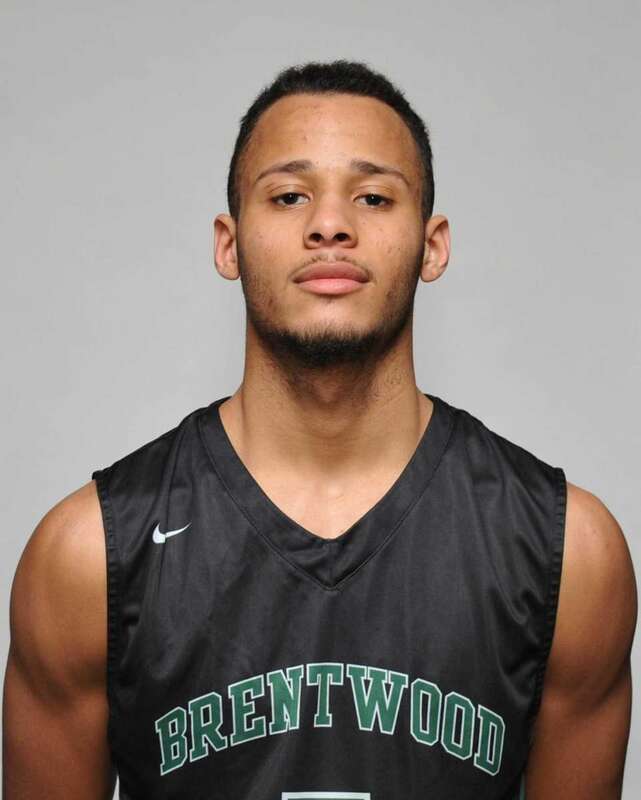 Mike Almonacy: Brentwood, 6-0, G, Sr. Averaged 18.4 points and 8.2 assists, with nine double-doubles. Broke Mitch Kupchak's school career scoring record. Expanded his three-point range, making 38 from downtown. Will play point guard at Stony Brook. Kian Dalyrimple: Half Hollow Hills West, 6-5, G, Sr. Most prolific three-point shooter in Suffolk with 73, the single-season school record. Scored 27 points in third quarter vs. Bellport. Averaged 18.1 points and also had five double-doubles (points-rebounds). 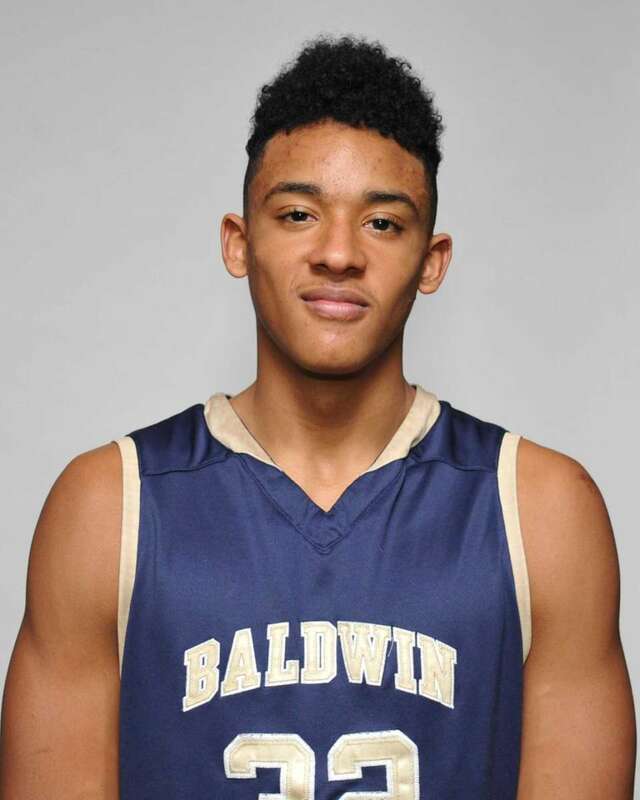 Shane Gatling: Baldwin, 6-2, G, Sr. Dynamic defender who created turnovers and easy baskets. Averaged 17.5 points, nailed 46 three-pointers and came up huge in county (25 points) and Long Island (26) championship games. 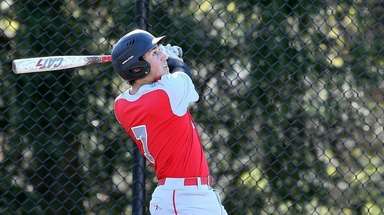 Lukas Jarrett: Northport, 6-7, C, Sr. Smooth lefty-shooting, smart-passing big man averaged 14.4 points, with legitimate three-point range. Averaged 11.5 rebounds, including high of 20 vs. Half Hollow Hills East. Notched 18 double-doubles. 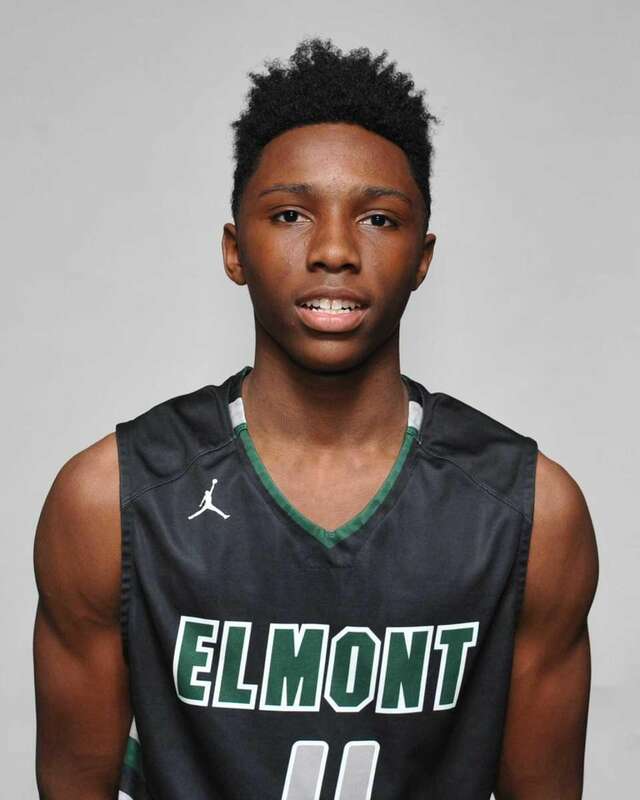 Travis Robinson-Morgan: Elmont, 5-10, G, Sr. 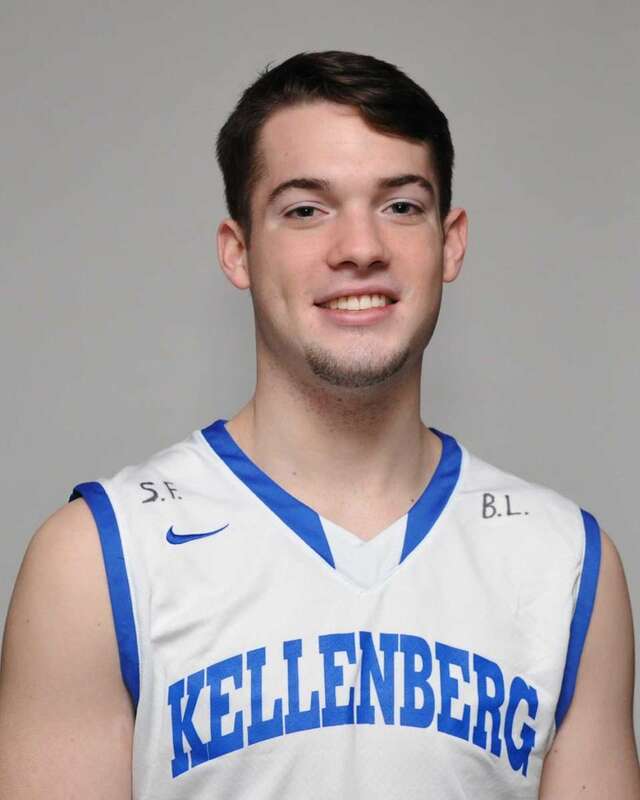 Averaged 17 points, sparked the Spartans' vaunted defense with his quick hands at the top of the zone, and was among Long Island's leading long-distance shooters with 69 threes. 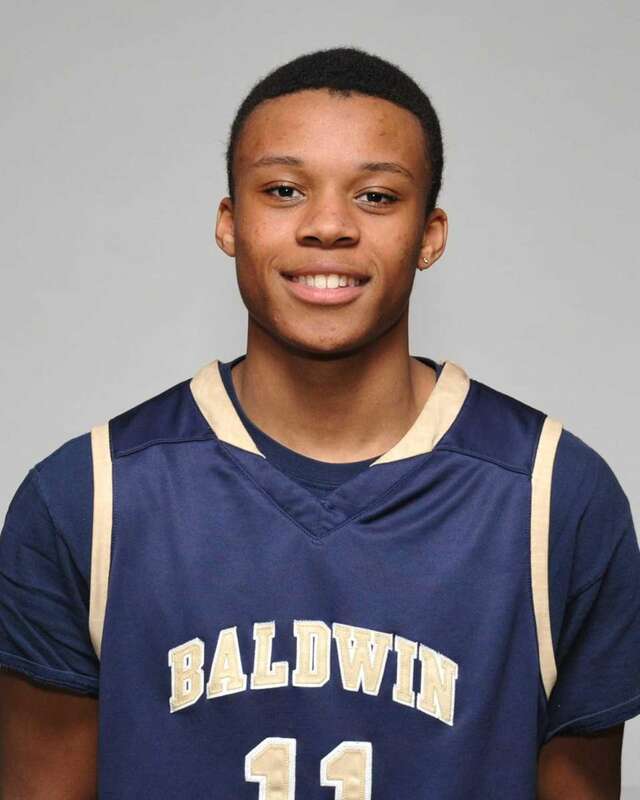 Jared Rhoden: Baldwin, 6-6, F, Jr.
One of Island's most improved players. Went from sixth man last season to leading scorer on the Nassau and Long Island Class AA champs, averaging 19.5 points with 49 three-pointers. 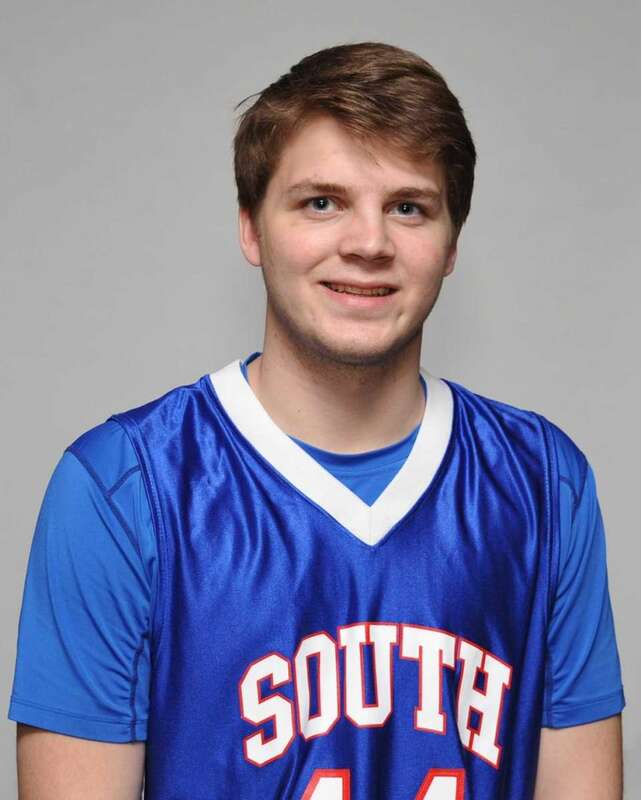 Alex Sorensen: South Side, 6-3, G, Sr.
Master of the "and-one" with 136 made free throws that helped him average 24.5 points per game. Extraordinary range on some of his 56 field goals from beyond the arc. 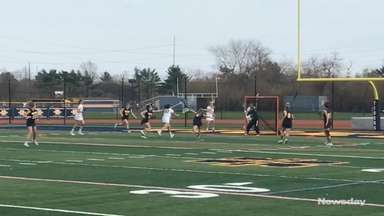 Steven Torre: Kellenberg, 6-3, G, Sr. The strong, crafty and versatile point guard posted five triple-doubles and averaged 22 points, eight rebounds and seven assists per game. He buried 65 three-pointers in 25 games. Coach George Holub of Elmont. 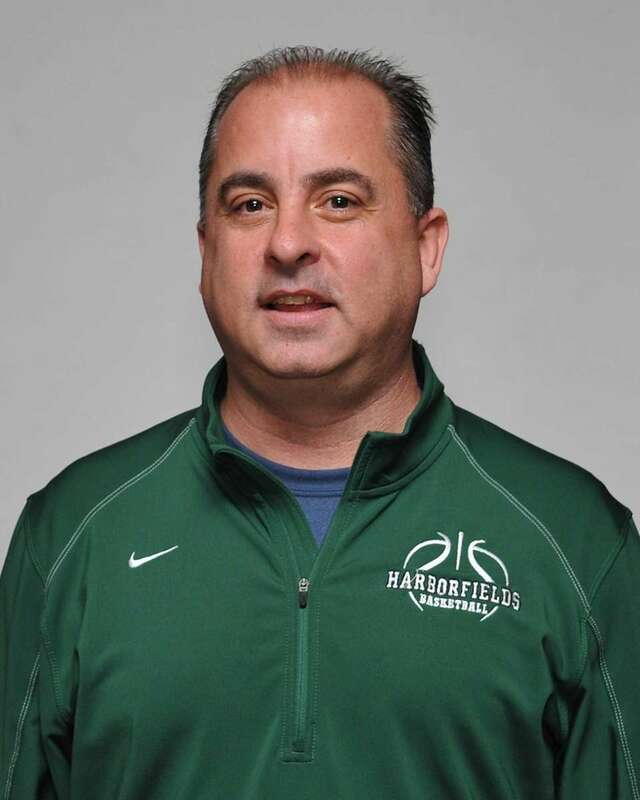 Coach John Tampori of Harborfields. All-Long Island girls basketball 2016Meet Newsday's 2016 All-Long Island girls basketball team. 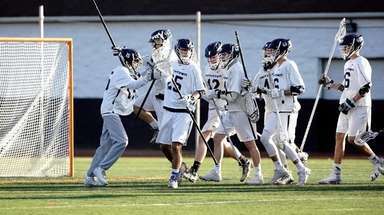 ... Spring All-Long Island teams revealedNewsday will reveal its All-Long Island teams for the spring high school season via videos Newsday's All-Long Island history databaseMore than 6,000 players and coaches have earned Newsday's top high school honors.